Letters Jane (Jean) 24th April 2019, peacefully at her home, 94 Princess Street, Ballymena. Beloved daughter of the late John and Sadie and dear sister of Sadie, John, Bob and the late Sam. Funeral service in St Patrick’s Parish Church on Friday 26th inst. at 1.30pm interment afterwards Ballymena Cemetery. Family flowers only please, donations in lieu, if desired, may be sent to James Henry Funeral Services 100 Broughshane Street, Ballymena BT43 6EE for St Patrick’s Parish Church Building Funds. Lovingly remembered by her sorrowing family and family circle (at home and Australia). 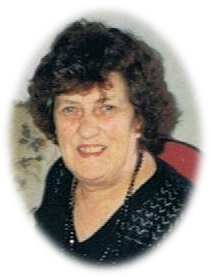 Darragh Elizabeth Ann (Betty) 24th April 2019, peacefully at Hospital, late of 97 Fenaghy Road, Galgorm, Ballymena. Much loved wife of Alan, loving mother of Helen, Elizabeth (Galloway), Julie Ann (Riddell) and Alan Richard, dear mother in law of Trevor, Charlie and Michelle, devoted grandmother of Luke, Mark, Jackson and Ellie and beloved sister of Tommy and Robert. Funeral service in Cullybackey Reformed Presbyterian Church on Friday 26th inst. at 1pm. Family flowers only please, donations in lieu, if desired may be sent to James Henry Funeral Services 100 Broughshane Street, Ballymena BT43 6EE for Asthma U.K. Dearly remembered by her loving husband, family and family circle. Finlay Heather Margaret 23rd April 2019, peacefully at the Macmillan Unit, Antrim Area Hospital, late of 36 Pennyhill Drive, Ballymena. Beloved daughter of the late Margaret and Bob and loving sister of Maureen. Funeral service in Henry’s Funeral Parlour 100 Broughshane Street, Ballymena BT43 6EE on Saturday 27th inst. at 1pm interment afterwards Ballee Cemetery. Family flowers only please, donations in lieu if desired may be sent to James Henry Funeral Services, 100 Broughshane Street, Ballymena BT43 6EE for The Macmillan Unit Antrim Area Hospital. 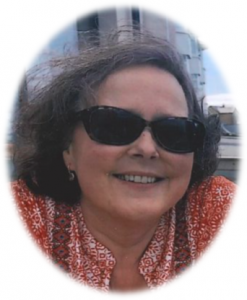 Lovingly remembered by her sorrowing sister, family and family circle. Kirk John Alexander 22nd April 2019, at The Macmillan Unit, Antrim Area Hospital. Dearly loved husband of Thelma, 65A Main Street Cullybackey, loving father of Stephen, June and Shirley dear father in law of Anne, Ian and Colin and devoted grandfather of Callum, Jamie, Jack, Peter, Sam and Ben. Funeral service in Cullybackey Methodist Church on Friday 26th inst. at 12noon interment afterwards Cullybackey New Cemetery.